Hamas – not a terrorist organization? Hamas, in both its military and governmental branches, has been temporarily removed from the European Union’s list of proscribed terrorist groups as the result of a technical legal blunder. 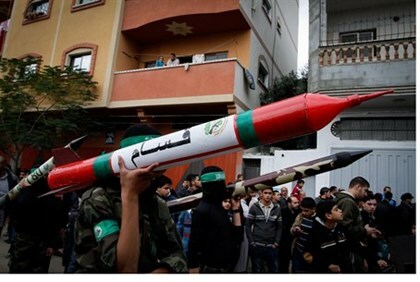 After Hamas filed an appeal against its terrorist list standing, the European Court of Justice in Luxembourg published its decision on Wednesday, with Hamas being removed due to claims that the group’s inclusion in the list was against EU procedures and without sufficient evidence. The lawyer for Hamas, Liliane Glock, told AFP she was “satisfied with the decision”. Many have noted the fault lies in the EU terror list rules requiring new information every six months to reevaluate. Apparently classified intelligence had not been used as proof due to fears of tipping off Hamas, and instead news reports were submitted. Despite the move, the Islamist group’s assets will remain frozen – and Hamas will likely be added to the list once again after lawyers submit a more legally-sound case against it. Hamas was added to the terror list in 2003 following a push by Israel and the US to have the radical Islamist terror group – whose platform pledges to destroy Israel and calls for a genocide against the Jewish people – recognized as such in Europe. However, after the Court of Justice removed the Sri Lankan terror group the Tamil Tigers from the list a few months ago, Hamas followed suit and appealed on the same grounds of a lack of legal evidence. Indicating that the decision may be only temporary, in the Tamil Tigers case the EU was given a window of time to re-submit its request to blacklist the group on the basis of stronger legal evidence. The same is likely to be true with Hamas, allowing the EU to present solid information proving Hamas’s status as a terrorist organization.